Shrink Film- A material made up of polymer plastic film. When heat is applied it shrinks tightly over whatever it is covering. There are a variety of uses for Shrink wrap and shrink film. Some common uses of shrink wrap are for wrapping food, gift baskets, boxes, toys, books, soaps, etc. Below is a breakdown of the two most commonly used types of shrink wrap. Common Uses of PVC Shrink Film- PVC shrink wrap uses include: packaging boxes, CD and DVD packaging, software, small canisters, and other non-edible items. Drawbacks of Polyolefin Shrink Film- Cost and machine compatibility are the two major drawbacks of Polyolefin shrink film. Polyolefin is commonly more expensive than PVC shrink wrap. Many packagers prefer PVC because of this reason. There are types of polyolefin shrink wraps that are more compatible with machines, but Polyolefin machine compatibility has been an issue of packagers. Cross-Linked Polyolefin Shrink Film- Irradiation is applied to standard polyolefin shrink film to make the film stronger, and capable of better seal strength. 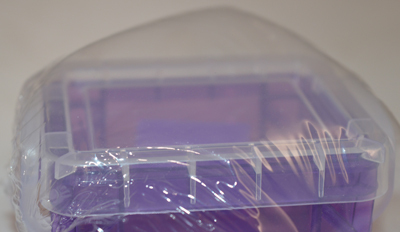 Cross-linked shrink film is sterile and FDA approved for direct food contact. It offers excellent clarity to display packaged products. To view in further detail about the making and history of cross-linked shrink film view our blog post titled What is cross-linked shrink film. Cross-linked shrink film also leaves less residue on sealers, promoting longer sealing blade or wire life. Cross-linked shrink film is made for use with high speed machines and high output operations. Common Uses of Cross-Linked Polyolefin Shrink Film- Cross-linked shrink film is used with the same products as standard polyolefin shrink film. Cross-linked film is often used in high output operations. It can also be used for heavier products a standard polyolefin shrink film can not properly package. Drawbacks of Cross-Linked Polyolefin Shrink Film- Cross-linked shrink film requires higher seal and shrink temps than a standard polyolefin shrink film. Higher temps can damage and deform products sensitive to heat. Higher seal and shrink temps. also require higher energy costs. Polyethylene Shrink Film- Polyethylene shrink film is used to package heavier products. Polyethylene shrink film (bundling film) is most often extruded onto single wound or flat rolls. The rolls are used on shrink bundling machines that have a sealing bar and shrink tunnel. 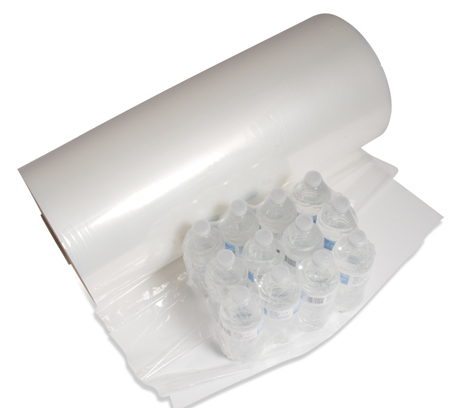 Common Uses of Polyethylene Shrink Film- Polyethylene shrink bundling film is best recognized as what water bottles are wrapped in. Packs of cans are also often wrapped in a polyethylene shrink bundling film. Bundles of firewood are can be shrink wrapped with polyethylene shrink film. 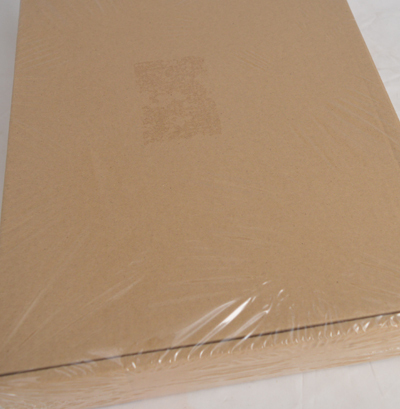 Any heavy boxes full of wood, metal, or other heavy items can be reinforced with polyethylene shrink film. Drawbacks of Polyethylene Shrink Film- Polyethylene shrink film requires a shrink bundling machine to efficiently run products. Shrink bundling machines with a shrink tunnel can be expensive and cost thousands. Polyethylene shrink film also requires longer heat exposure to fully shrink. Products sensitive to heat can melt or become damaged while the shrink film is obtaining a full shrink. Polyethylene shrink flm has a low shrink rate of 15% or less. Product measurements are important to ensure the right size of roll is purchased. A large variety of product often weighing less than 12-15 lbs. Heavier books, dog bones, shrink banding around bottles products up to 20 lbs. Used for shipping products and wrapping products up to 25 lbs. How Do I Measure For Shrink Film? 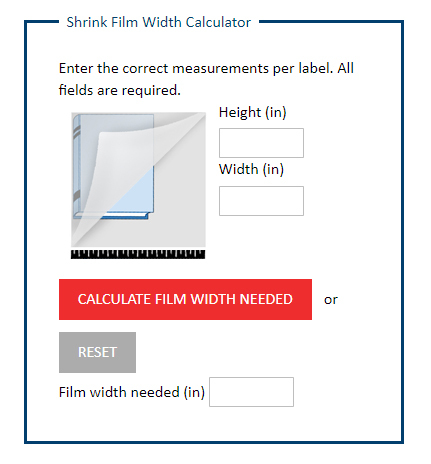 Measuring for shrink film is fairly simple, but is determined by the type of shrink product you intend on using. See below for measurement formulas for each type of film. Remember if the exact size needed is not available go to the next size up. All of our shrink film has a shrink rate of at least 30%. The same formula as above to determine the bag width, for length add an additional 1-2 inches to allow room for making a seal. For squared objects use the same formula as above, but most people use tubing for cylindrical objects. If measuring for a cylindrical object use the formula below. When Do I use Shrink Film and when do I use Stretch wrap? 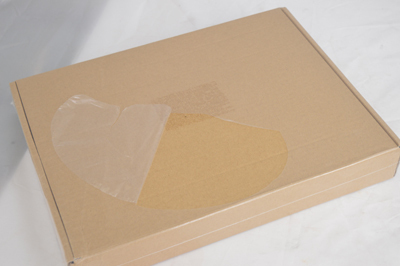 Shrink wrap is commonly used to protect and package a single product, like toys or a CD. It also is used to help bundle multiple products together. It is often used to bundle soda, water bottles, and various other packaged products together. 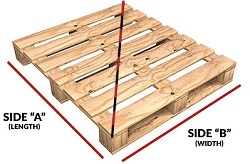 Usually stretch wrap is used to hold boxes and products together on a pallet for transportation. It can also be used to hold other objects together for transportation or storage. Stretch wrap can come in a variety of specialty films. Some examples are: UV stretch wrap, vented pallet wrap, anti-static stretch film, colored stretch film, pre-stretched stretch film, etc. Is shrink wrap and stretch film recyclable? Both shrink wrap and stretch film are recyclable. Check with your local recycling center and be sure they accept soft plastics. Different applications require machinery. When using shrink wrap, a heating instrument will be needed to shrink the film. There are a variety of instruments to use depending on what you are trying to accomplish. Common instruments are heat guns, L-Bar sealers, I-Bar Sealers, and shrink tunnels. View: A complete guide to shrink wrap machine cost. Shrink Wrap Heat Gun No, if you are after a professional look a heat gun is strongly recommended. The wrap needs to reach 300 degrees Fahrenheit to properly shrink the film. Shrink wrap heat guns are very affordable. Click on the link to view our shrink wrap heat guns. Start by measuring the circumference of the object that will be shrink wrapped. Once the circumference is identified, add 10% to the circumference. Divide the final number by 2 and that number will be the width of shrink wrap tubing you will need. If the width of shrink wrap tubing needed is not available, it is fine to go with a larger size. PVC shrink wrap tubing can shrink up to 40%. View: How to measure for shrink tubing. 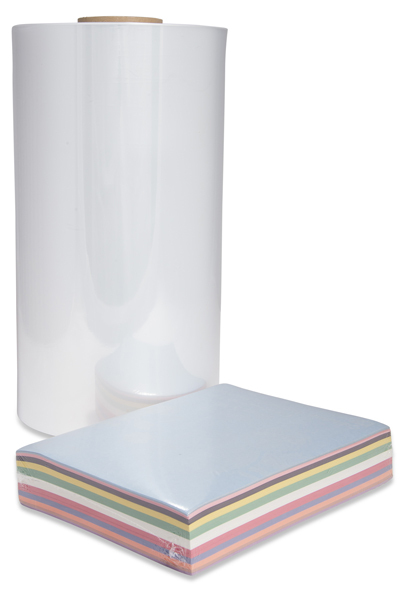 We recommend a 75 gauge shrink wrap for products less than 12 pounds. 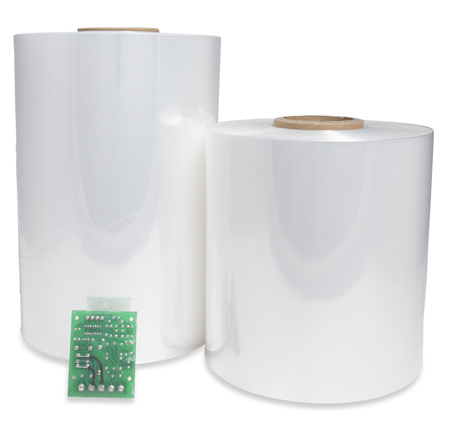 A 100 gauge shrink wrap is recommended for products up to 30 pounds in weight. To view our gauge conversion chart, click here. Measure the product being shrink wrapped around its widest point. Add 10% to that circumference and divide the number by two. This number will give you the width of the shrink wrap bag you need. Next, measure the product to be shrink wrapped all the way around from top to bottom. Once that number is determined, add 10% and then divide by two. This number will tell you the length of the shrink wrap bag needed. View: How to measure for shrink bags with illustrations. 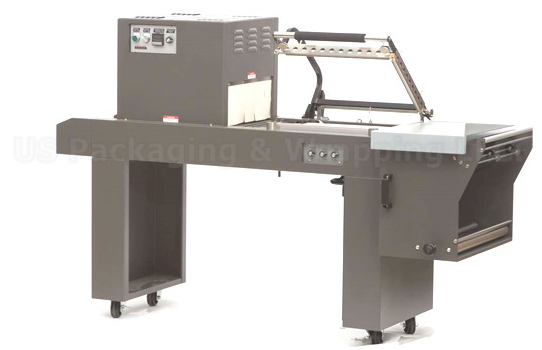 Impulse Sealer- A sealer that uses a heating element that is pulsed with voltage during sealing. L-Bar Sealer- A sealer where the sealing surface is in the shape of an backwards "L". A common sealer for people wanting to seal faster than using an impulse sealer. Lap Seal- Making a seal using two layers of shrink film lapped over each other. Machine Direction- The direction the film is manufactured and moves through the sealing equipment. Polyolefin- A polymer produced from a simple olefin (also called an alkene with the general formula CnH2n) as a monomer. Shrink film made from this and is commonly referred to as POF shrink film. Shrink Tunnel- Equipment that uses a chamber to produce heat with a continuous conveyor running through the chamber. 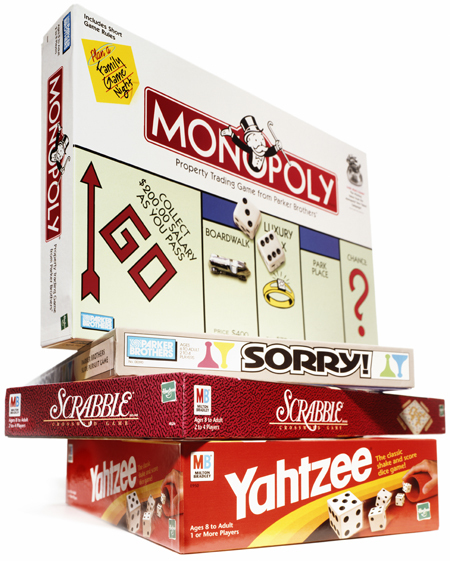 Games & Sporting Goods- Manufacturers, resellers, wholesalers, and retailers commonly use shrink wrap for wrapping a variety of goods and products. PVC shrink wrap is commonly used for these items. It helps to detour and detect tampering and is an affordable form of packaging. Printing & Paper Products- Many companies in this industry use shrink wrap to protect their products and goods as well as detouring and detecting tampering. Food- One of the largest industries that commonly use shrink wrap. Wrapping in shrink film helps to remove oxygen contact from the food and can reduce waste. POF (Polyolefin) shrink wrap is the common shrink film used for food packaging. Be sure the POF shrink wrap you choose is FDA approved for food contact. Food- One of the largest industries that commonly use shrink wrap. Wrapping in shrink film helps to remove oxygen contact from the food and can reduce waste. POF (Polyolefin) shrink wrap is the common shrink film used for food packaging. Be sure the POF shrink wrap you choose is FDA approved for food contact. Hardware & Housewares- Many manufacturers and retailers in these industries commonly use shrink wrap to detour and detect tampering. They also commonly use shrink wrap to bundle multiple products together. Electronics- The electronics industry commonly uses shrink tubing and shrink wrap. Shrink tubing is commonly used in electronics for abrasion resistance and environmental protection for exposed electrical wires in various components. They also commonly use PVC shrink bags, and centerfold PVC shrink wrap to package a variety of products in. 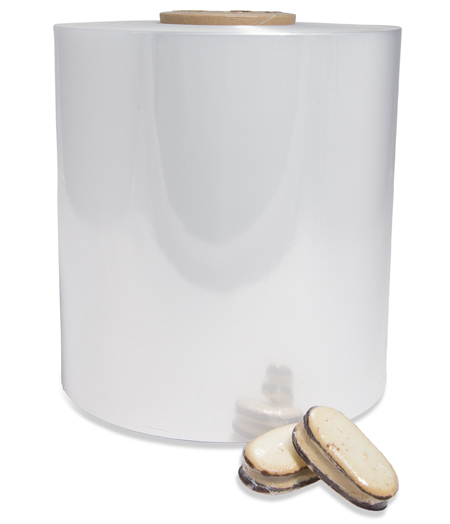 Pharmaceuticals- This industry makes use of shrink wrap to help seal caps and offer the ability to detect tampering. Miscellaneous- There are a variety of other industries and uses for shrink wrap. The marine industry commonly uses shrink wrap to winterize boats and protect them from environmental elements, there are multiple uses for shrink wrap across many industries and U.S. Packaging & Wrapping LLC. would love to assist you with your shrink wrap needs. 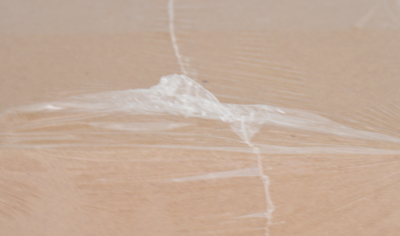 Wrinkles- One of the most common problems found with companies new to shrink wrapping. Wrinkles in the shrink film after heat is applied means more heat should be applied to the film. If using a shrink wrap gun apply more heat to wrinkled areas. If using a heat tunnel either slow down the belt speed or increase the heat. Dog Ears- Shrink film bunched up in the corners of the package. Another very common problem when shrink wrapping. Dog ears will happen in almost any shrink wrapped package, but excessive dog ears can be prevented by applying more heat to the shrink film. Ballooning- Excess air trapped inside the sealed shrink film. Ballooning happens after the seals have been made and heat is applied. It is hard to determine which products will balloon. If ballooning is experienced, small needle sized vent holes can be used to prevent future ballooning. 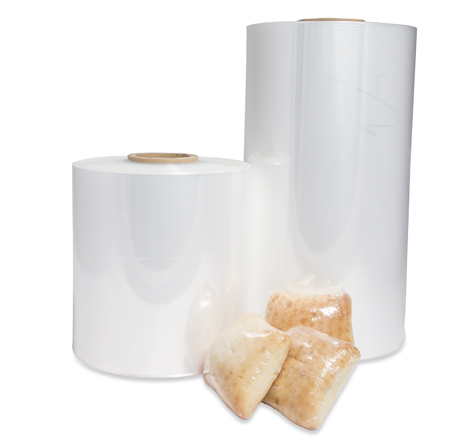 We sell perforated shrink film rolls and bags to prevent ballooning. 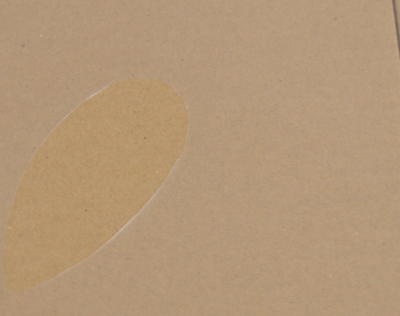 Burn Holes- Burn holes are when too much heat is applied to the shrink film being used. If using a heat gun, back heat gun further away from the product. If using a shrink tunnel, speed up conveyor or decrease heat. Shrink Film Tears- Tears in shrink film are often caused from the type of shrink film being used or the thickness of film being used. If experiencing tears, a thicker film should be considered or a different kind of film should be used. If using PVC switch to a polyolefin or a polyethylene.